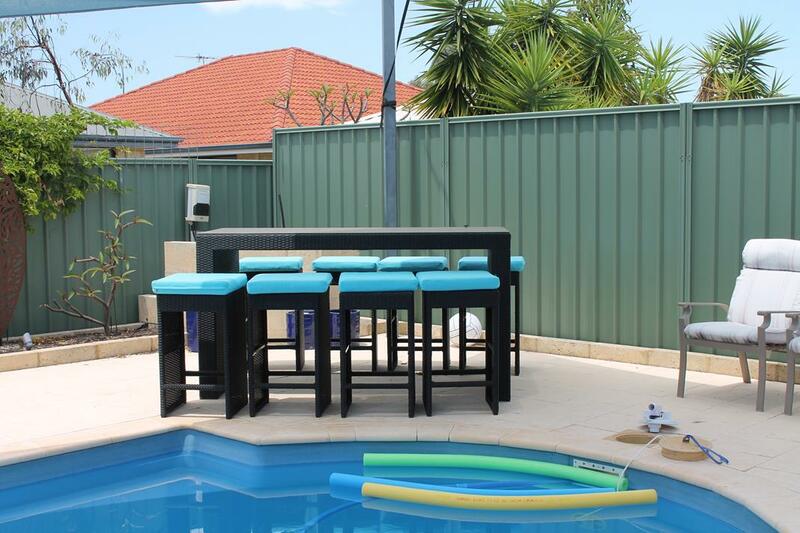 Create a beautiful resort feeling in your own backyard or poolside. The Cook Islands Bar Setting evokes the of a getaway in Fiji, Bali, or any tropical destination. It is perfect for entertaining and having cocktails with friends. 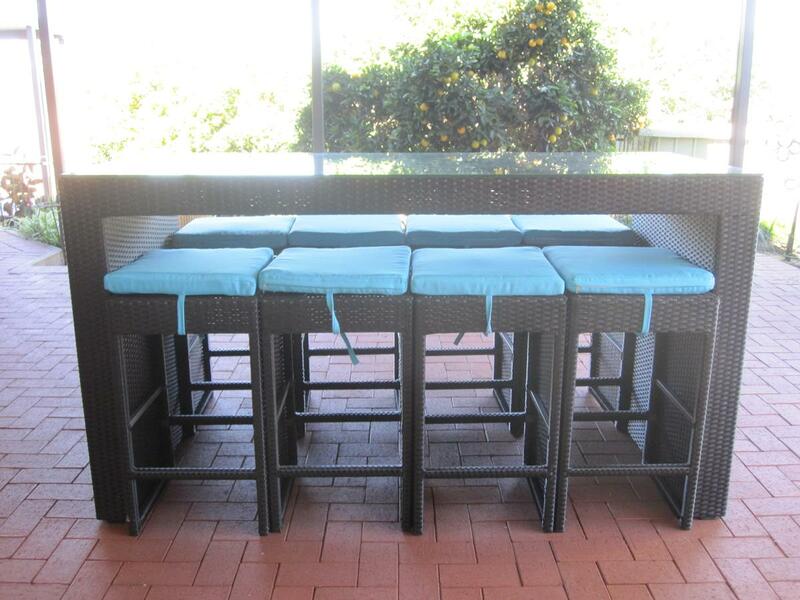 The generous table measures 2m wide x 80cm deep x 107cm high.